Just to let you know, I just mailed out eight books from the seven book Civil War series, the Drieborg Chronicles. all of them were purchased from the web site www.civilwarnovels.com and Pay Pal. Amazon notified me that another seventeen books from this series were purchased and shipped by them to buyers. Check out purchases from this series for Christmas. 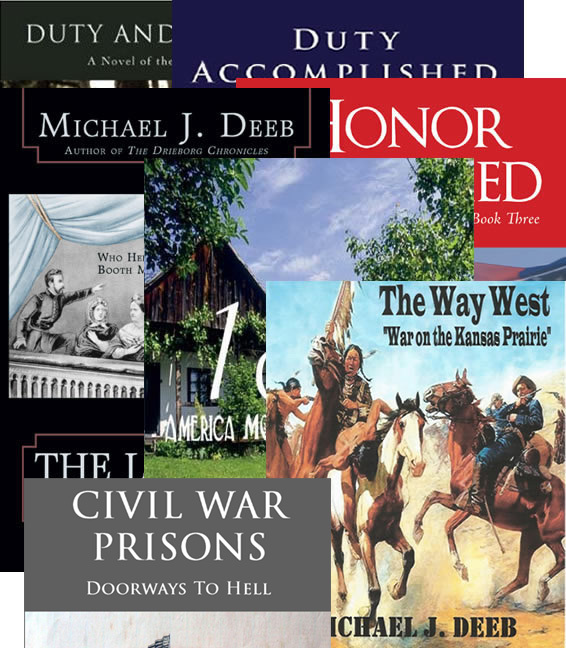 If you are getting one or more of these books as a first time gift, start with the novel 1860, then Duty and Honor, Duty Accomplished, Honor Restored, The Lincoln Assassination, The Way West and finally Civil War Prisons.